This class will introduce dogs to focused searches outdoors. They will be searching building exteriors, lawns and fields, and wooded areas. They will also begin searching vehicle exteriors. Due to the structure of the class--one dog searching at a time--dogs who are not working need to be comfortable in a crate nearby, or waiting alone in their vehicle between their turns to search. We can accommodate mild to moderately reactive dogs. Contact Holly directly if your dog has reactivity issues or for questions about the class. Prerequisite: Intro to Nosework: Interiors, or permission of instructor. Dogs who are just beginning the Nosework game should start with the Interior class as there are fewer distractions indoors so they learn the game faster. However, if your dog has significant practice finding things outdoors it may be OK to start with this class and take Interiors later. Please contact Holly to discuss this possibility. Some dogs march to the beat of a different drummer. We love working with these dogs! Saturdays 9-10am Starting April 6 - May 11. $130 S. Burl resident / $135 non-res. For puppies 9-20 weeks at start of class. This is the most important class you will ever take with your puppy! Learn how to develop a friendly, confident dog who loves learning and can go everywhere with you! house training, puppy biting, and more. Puppy playtime during each session! 6 weeks. Meets at South Burlington Town Hall (old police station), 575 Dorset St.
Sundays 3:30-4:30pm Starting April 7 - May 12 6 weeks $130 S. Burl resident / $135 non-res. 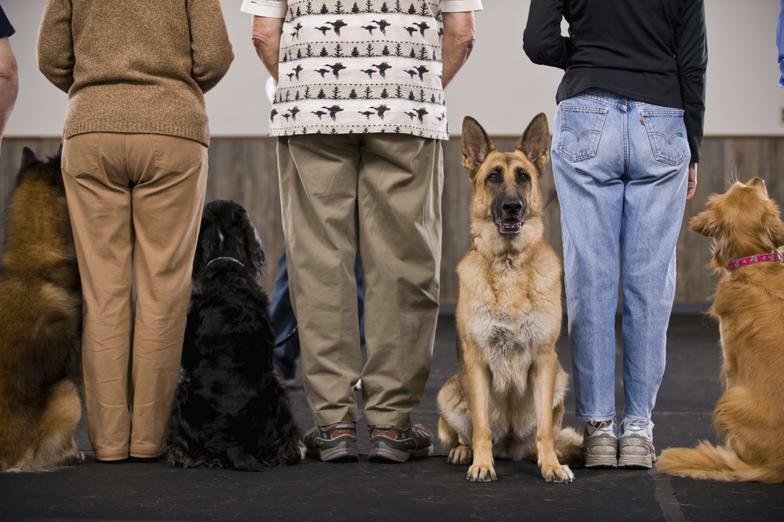 This class will teach basic skills: For dogs, doing a focused search; for people, reading your dog and leash-handling. Further classes increase challenge, and prepare for competition if desired. For a demo see: https://www.youtube.com/watch?v=jkXtAup14Sg . in their vehicle or in a crate in an adjacent room. We can accommodate mildly-reactive dogs. Participants will need to purchase an odor kit for $20. Saturdays 10:15 - 11:15am Starts April 6 - May 11. $130 S. Burl resident / $135 non-res. 6 wks. For dogs 4 mos. to adult with little or no training. Get your dog started on being a “welcome anywhere” companion who loves learning! Covers: how to train, focus on handler, recall, sit, stay, down, no-jump greetings, wait, leave it, polite leash walking. We’ll focus on dog and handler skills for the real world! ​Meets at South Burlington Town Hall (old police station), 575 Dorset St.
​Using the amazing equipment (nose) and hunting instinct that every dog has, we train your dog to do a focused search for food or essential oils. Nosework has become an international competitive dog sport, where dogs do timed searches of four different elements: containers (boxes, luggage, etc), interiors (within buildings), exteriors (the great outdoors), and vehicles (exterior only). Any dog with a nose and mobility can play (incl. blind, deaf, and senior dogs), and it requires minimum physical exertion from handlers. One dog searches at a time, so even dogs who are mild to moderately reactive can play. This sport builds confidence in shy or fearful dogs, provides mental and physical stimulation for busy dogs, and builds your relationship as you and your dog learn to communicate with each other during the search. Dogs need to be able to wait in your car, or quietly in a crate in an adjacent room, between searches. specialty classes, through the South Burlington Recreation and Parks Dept. She is also continuing her efforts to grow the sport of Nosework in VT.
Q: Why does only one dog search at a time? Can't my quiet dog stay next to me while another dog searches? A: It is important that only one dog be in the search area at a time, and is one of the rules of the sport. This allows the searching dog to focus completely on the search and not be distracted (through fear, food guarding, or curiosity) by the presence of other dogs. This allows dogs with fear/reactivity issues to play the game, and often helps them get past these issues. It is also important that handlers watch as others search, as observation of other dogs and handlers is part of the learning process. If you think your dog may be able to do this but are not sure, please contact Holly at 540-0219. All dogs will need proof of current vaccinations. up on furniture. But she still loves nosework and is very determined to make the find and get her reward! It definitely helps keep her stay "in the game" of life! " her fear of people, and are making progress." - H.G. "Tabitha is afraid of a lot of things; it takes a lot of effort to get her used to new situations without stressing her out. of nosework, and see how much more she can grow!" - M.L. "My dog Jasper, who is typically a fearful guy, shows so much joy and focus when involved in nosework. He starts jumping with anticipation as soon as he sees the building where class is held." - M.S. Now that's it's summer, Jasper has been extra stressed out due to thunderstorms, firecrackers, and construction in the basement below my apartment. But I discovered that no matter how scared he is, he's always up for nosework. After a couple rounds of "Find It," he goes from cowering/trembling/heavy panting to happy with tail held high. This is so awesome!!! I'm sure I'll be using this technique all summer to calm him down.